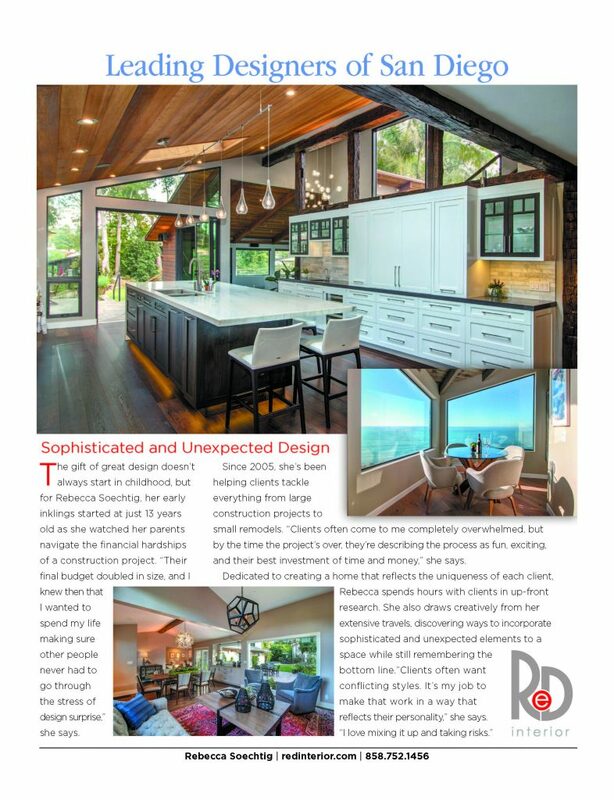 I am so happy to share that REDinterior will be in the January Issue of Architectural Digest as a “Leading Designer of San Diego”. It is such a privileged to have my work showing in one of the most prestigious magazines for home design. I hope you are a subscriber to this fine magazine as this article is unique to each geographic area – only San Diego subscribers will be able to see this, it will not be available on newsstands. This is the article in AD is pictured below. I have so many things to be grateful for this year, from my clients, to being published from time to time (yay!! AD), to be able to travel to exciting and diverse places which fill me creatively and filter into my designs. My travels have allowed me to see how fortunate we are living in this amazing country that affords us so many opportunities. I hope that you too feel that you have countless blessings to reflect on this holiday season. I wish you and yours a peaceful and warm holiday.